Samsung recently made noise in the home audio community with its newly released soundbar systems. 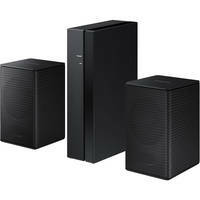 Available in three different configurations (2.1-, 3.1-, and virtual 5.1-channel), these four models each include a wireless subwoofer with a 6.5" driver and feature Bluetooth music streaming and USB audio playback, plus an optical and 1/8" aux input. Additionally, the soundbars are all wall-mountable with included hardware, and each system is expandable to a full surround system with the optional Samsung SW-A8500S Wireless Rear Speaker Accessory Kit. The HW-R450 is one of the two 2.1-channel systems. 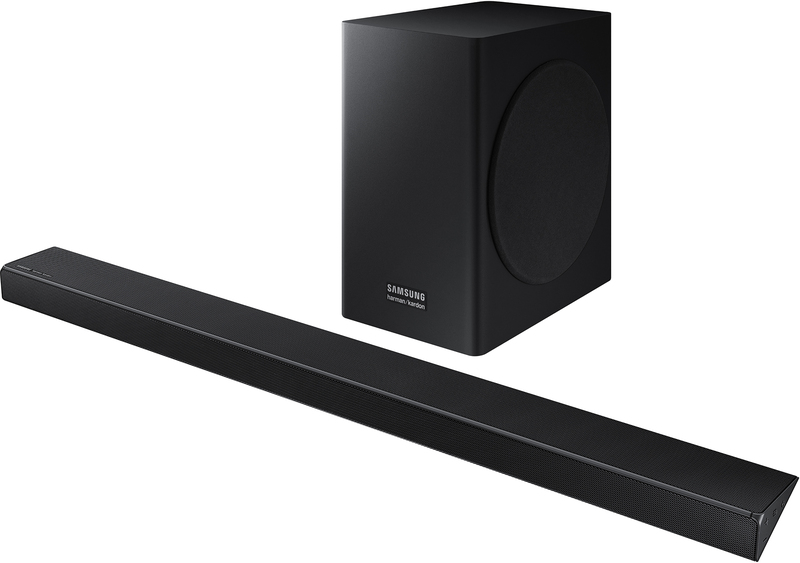 The soundbar itself outputs up to 70W of power, while the subwoofer outputs up to 130W. Its big brother is the HW-R550, which outputs up to 160W each from the soundbar and the subwoofer and adds an HDMI 1.4 input and an ARC-compatible HDMI output, allowing you to get TV-based audio, such as from apps built into the TV like YouTube or Netflix, into the soundbar for playback. The HW-R650 steps up to a 3.1-channel configuration and packs on an additional 20W to the soundbar output, bringing it up to 180W. The dedicated center channel helps provide clear dialogue for your TV shows and movies. Additionally, at 41.7" wide (compared to the 35.6" and 35.7" width of the HW-R550 and HW-R450, respectively), it provides better stereo separation at most listening distances. From there, we come to the virtual 5.1-channel soundbar system, the HW-Q60R. In addition to the dedicated center channel, it has virtual rear surround speakers that, thanks to Surround Sound Expansion technology, helps make you feel as if you're in the middle of the action. Further, the HW-Q60R steps up to HDMI version 2.0a with HDCP 2.2 compliance, allowing for the pass-through of 4K UHD and HDR10 video. At 43.3" wide, it is the widest of these four soundbars, providing the broadest soundstage. If you're looking for a soundbar system, come into the B&H SuperStore to try out what we have on display, or contact us by phone at 800-606-6969, chat, or email for friendly, knowledgeable advice. Do you have thoughts you'd like to share about these soundbar systems? Are you looking to try one out, or are there any other features you'd like to see added? Join the conversation in the Comments section, below!